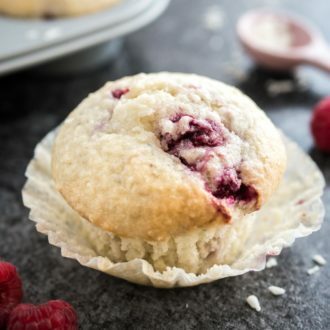 Coconut Raspberry Muffins are super moist, bursting with coconut flavor, and are studded with juicy raspberries. 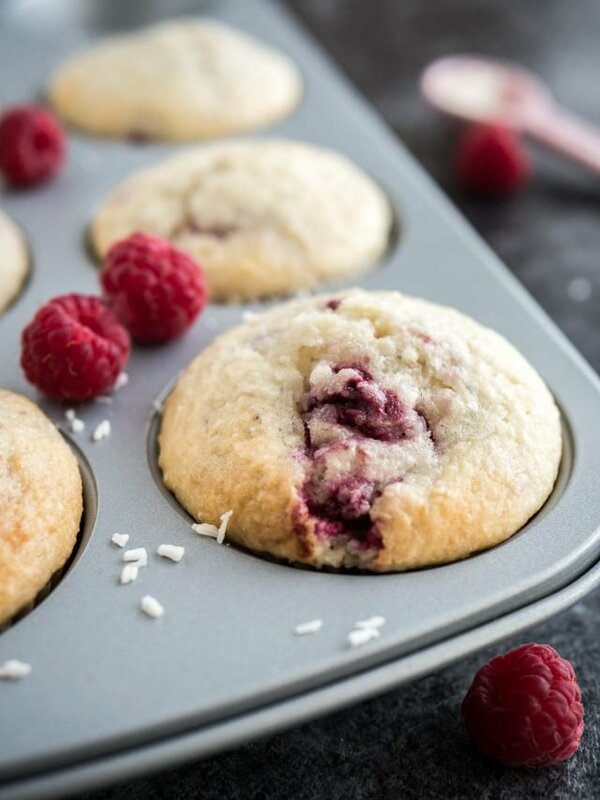 These easy muffins are perfect for breakfast, brunch, or dessert! 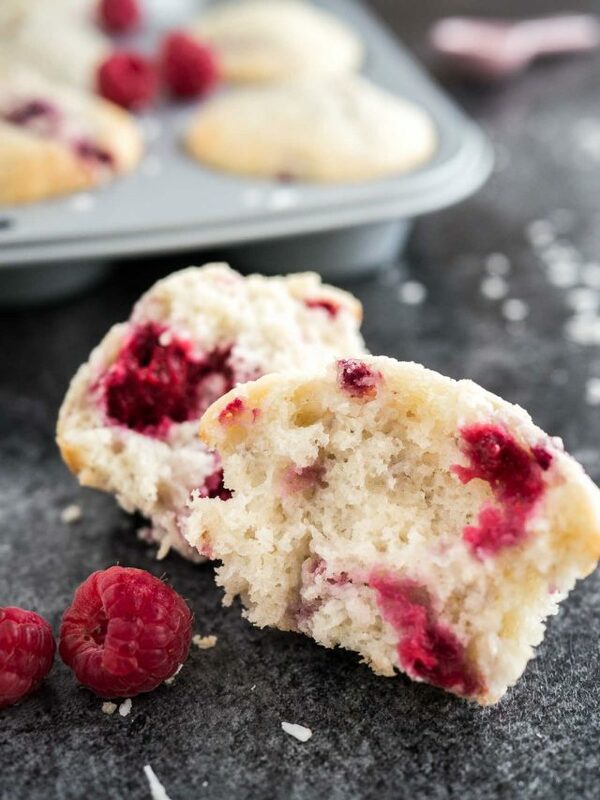 Coconut Raspberry Muffins are the perfect summer treat! We love them as a quick snack in the afternoon, for breakfast on the go, and they make a pretty addition to every summer brunch. 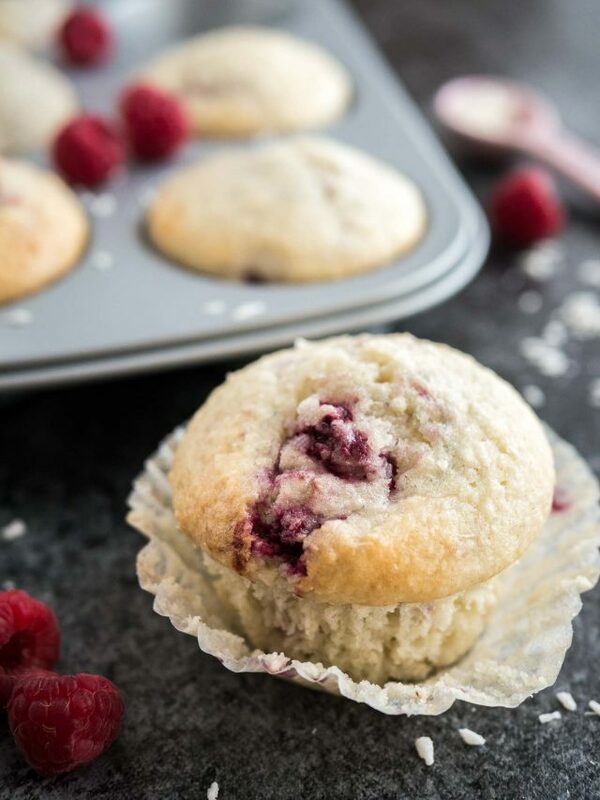 Summer time means berry time for me and these muffins are the perfect way to use those perfectly ripe, sweet raspberries from the farmers market. 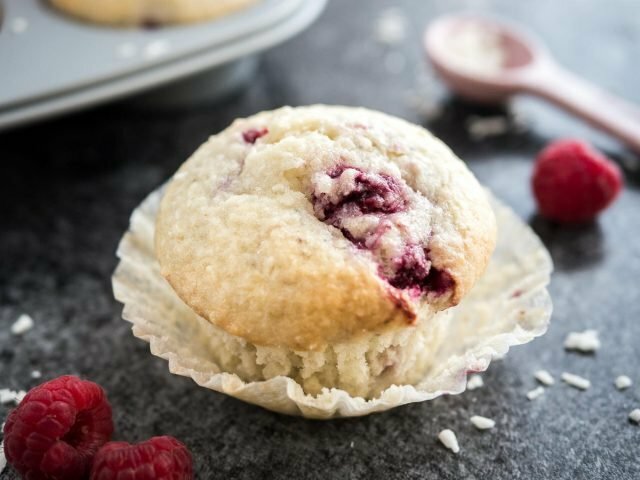 The raspberry and coconut combo is so delicious and makes the muffins super moist. They keep moist and fresh for a few days in the fridge which makes them the perfect summer snack to have on hand. 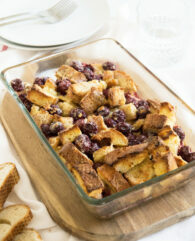 These pretty treats are quicker to make than a quick bread, super portable, and they freeze well! Don’t overmix the batter! This is important for every muffin recipe. To ensure that your muffins are light and fluffy mix the dry ingredients with the wet ingredients until just barely combined, and no more dry flour is visible. Don’t let the muffins cool down in the muffin tin! The hot muffin tin will continue to bake the muffins and you might end up with drier muffins. Give the muffins a couple minutes to cool off, then remove them and transfer to a cooling rack. You can use fresh or frozen raspberries for this recipe. I like to use frozen ones when I can’t get my hands on really ripe raspberries. If you use frozen raspberries be extra careful when you fold them into the batter because frozen raspberries tend to bleed more into the batter. 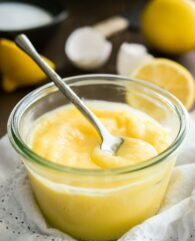 If you want to add a glaze you can make one by mixing 1 cup powdered sugar with 1 1/2 – 2 tbsp of coconut milk and a little bit of coconut extract. Let the muffins cool down completely then decorate them with the glaze. This scoop is perfect for portioning the muffins and quickly scooping without mixing the batter too much. I love this muffin pan! It comes with a lid so it’s easy to transport baked muffins or cupcakes and it’s super easy to clean, everything slides right off. Vanilla Extract: This is my favorite vanilla extract. I also love their vanilla sugar for recipes where I don’t want to add more liquid. I use this coconut milk for everything! The lady from my favorite Thai restaurant recommended this brand. It’s 100% pure coconut milk with no stabilizers, thickeners, gums, or preservatives. In a large bowl combine coconut milk and desiccated coconut. Let sit for about 15 minutes. Preheat oven to 350°F and line a 12-count muffin tin with cupcake liners. Add egg, sugar, and vanilla extract to the coconut mixture and stir with a spatula until combined. Combine flour, baking powder, and salt and sift into coconut mixture. Gently fold in frozen raspberries. Don't stir too long, the raspberries will bleed into the batter. Divide mixture between muffin cups and bake for 25-30 minutes, or until a skewer inserted in the center comes out clean. Let the muffins cool in the pan for about 10 minutes then transfer to a cooling rack to cool completely. These look delicious, Julia! 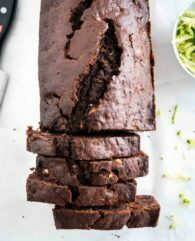 I love that you used coconut milk to make them and also the tips and tricks you included in this post! Thank you so much, Julia! The coconut milk makes the muffins super moist and delicious. I’m a big fan of everything coconut. These look so fluffy and I’m in love with the combination of raspberries and coconut. Cannot wait to try these out!